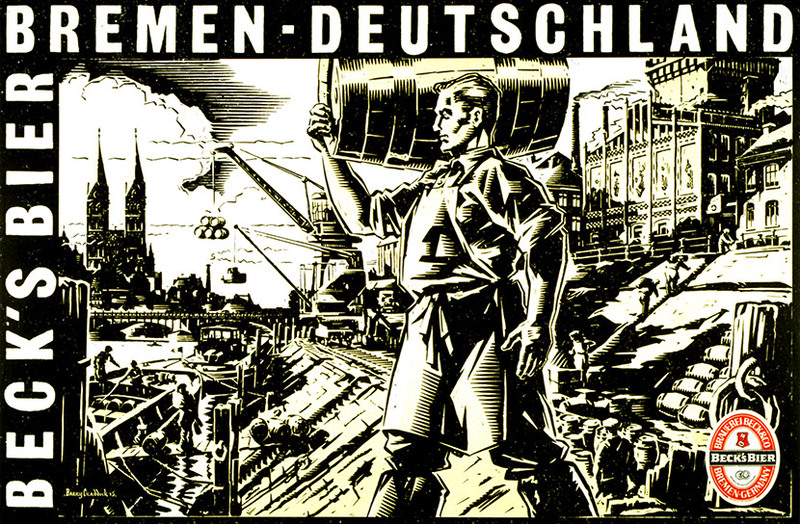 This award-winning design for a press and poster campaign for the product of this famous Bremen brewery first appeared in a larger-than-broadsheet magazine called ‘The Manipulator’. The campaign also appeared in other fashion and style magazines, causing something of a stir, both here and in Germany – a country that wasn’t on the media schedule. In 2003, the campaign enjoyed a brief revival when it was exhibited as part of ‘Rewind’ at the V&A Museum, a celebration of 40 years of D&AD that showcased the best examples of 20th and early 21st century advertising and design. The designers involved were David Hughes and Siobhan Noonan and the illustrator was Barry Craddock. View more drinks related work here: Drink, Drink, Drink.